For those of you interested in fantasy baseball, baseball in general, or just want to read a list about disappointing 2013 campaigns, look no further. I list my 5 candidates for American League Comeback Player of the Year for the 2014 season. These are players that have had disappointing seasons in 2013 but figure to be strong impact players in 2014. Prince Fielder began the 2013 campaign with eye-popping numbers and one of the best batting averages in the league. However, his numbers sharply declined, especially after the All-Star break, leading to a disappointing second half and virtually no impact in the postseason. This greatly contributed to Detroit's early exit in the American League Championship Series. 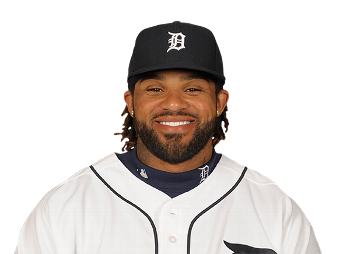 That being said, Prince Fielder still managed to top 100 runs batted in, his .279 batting average is nothing to scoff at, and remains an imposing figure in the Tiger lineup. 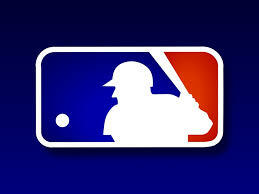 Expect him to come back strong in the 2014 campaign with the same supporting cast of Miguel Cabrera and Victor Martinez. It can be argued that Josh Hamilton's woes began at the end of the 2012 season with the Texas Rangers. As a Ranger, he was much maligned for his missed catch that may have cost the Rangers a shot at the postseason and he was all but run out of the Rangers organization. He signed a hefty contract with the Los Angeles Angels of Anaheim prior to the 2013 season, but failed to produce in the eyes of Angels fans. However, since successfully returning to baseball, Josh Hamilton can still be considered one of the best left handed bats in baseball. As he continues to build confidence within a strong Angels lineup, expect his bat to have more contact and power. Odd numbered seasons must have something against Austin Jackson. After a Rookie of the Year type season in 2010, Jackson struggled in 2011. Again, after a strong impact season that saw him batting exactly .300 in 2012, Jackson's numbers dipped to .272 in 2013. Aside from the fact that the 2014 season is an even numbered season, fantasy owners can take solace in the fact that although his batting average and on base percentage took a dip, his strikeout total actually decreased in 2013. Look for Jackson to once again key a strong Tigers offense on 2014 with the help of new hitting coach Wally Joyner. After an eye popping 97 home runs between two seasons (2010-2011), Jose Bautista saw his numbers derail in the 2012 and 2013 seasons, mostly due to injury. His power numbers took a bit hit, with his slugging percentage dropping considerably. However, if Bautista remains healthy and slugging in the Blue Jays lineup, he can't help but remain one of the fearsome power hitters in the homer-happy Blue Jays lineup. 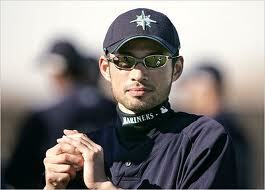 As long as he plays around 140-150 games, look for all of his numbers to trend upwards in the 2014 campaign. No list about comeback hitters is complete without the addition of Albert Pujols. After much rancor early in his 2012 season, Pujols began scorching the ball, bringing his numbers extremely close to the .300 batting average and 100 runs batted in that he had maintained during his entire career with the Saint Louis Cardinals. Many believed he was capable of doing the same in 2013 with an equally slow start, but his campaign was ended early with plantar fasciitis. Albert has recently stated that his rehabilitation is very near completion, and there is no reason not to believe him. He remains one of the best hitters in the game, two years removed from the 2012 World Series Champion St. Louis Cardinals squad, and can always be depended upon for a fantastic season. Injury, especially plantar fasciitis, is a huge concern, but otherwise look for Albert to be the best hitter in the league not named Miguel Cabrera. All five of these players have been the beneficiaries of big dollar contracts but have been otherwise pedestrian in 2013. Look for all of these hitters to produce at the level and standard they have been held to. My favorite candidate thus far is Albert Pujols of the Los Angeles Angels, but each candidate is equally likely to garner attention for this award.